In the Spotlight – where we share what’s happening at your library branches! This In the Spotlight focuses on the Osborne, Millennium, and Harvey Smith Libraries. The second year of the Osborne Seed Library is coming to a close, with approximately 300 packs of seeds having been “checked out” so far. The Seed Library is a free program to encourage gardening and local food production. By saving seeds we are preserving heirloom varieties and protecting biodiversity in our food crops. Just like the books you borrow from us, seeds also have a story to tell – from new immigrants bringing seeds from their home countries to re-discovering ancient squash seeds, like this huge Gete-Okosomin squash, grown in the People Garden this summer. Carole, Branch Head of the Osborne Library, holding a Gete-Okosomin squash! This squash can grow to be 18 pounds. It’s a delicious squash too – sweet with hints of melon. Every gardener we know loves to talk about their garden and what they are planting, and each season is filled with new discoveries. Winnipeg Public Library is also offering several gardening programs throughout March and April to help get you growing. Check out page 6 of the March/April At The Library Guide. Thanks to all the gardeners who contributed seeds back in November. We hope you have great success with the seeds from our library, and don’t forget to set a few aside for us again in the fall! Thanks to everyone who donated seeds for this year’s Seed Library. Don’t forget about us this fall when harvesting your seeds. We’ll be accepting donations! You still have a few days to pick up some seeds – we still have tomato, lettuce, squash (including the Gete-Okosomin), pumpkin, bean and cilantro seeds available. The Youth Services department is made up of 8 staff who are passionate about providing quality programming. You can find many of us running Baby Rhyme Time, Time for Twos, or Family Story Time on any given day in the program room. Plus, we love to get creative! When you visit our section on the main floor of Millennium Library be sure to look around at the myriad of displays that celebrate literature and community! Prairie Sky getting everything started by introducing the readers. One of our newer programs is called Read by Queens. This story time has invited guest readers from the Sunshine Bunch of local organization Sunshine House. This year it was a part of the very popular Take Your Child to the Library Day and we went ALL OUT with glitter beards, unicorn masks and drag queen colouring sheets, decorative scarves, and a puppet theatre. Kate, a Youth Advisory Council volunteer, helped everyone making a glitter beard. Queens Starra, Feather and Moxie. If you and your family want to attend this program you can look for it in the spring where we will be back with new stories. In the meantime, come visit us at the Youth Services section on the main floor of Millennium Library. Tucked in the Harvey Smith Library is a bright and inviting little classroom that houses the WELL program. A passerby can’t help but notice the activity – books, binders and laptops mix with papers, mugs of coffee… and laughter. There’s always a good time to be had in learning. Volunteer tutors provide one-on-one help under the lead of the instructor, Shannon. Classroom shelves are stocked with level-appropriate readers, dictionaries and numeracy games. Every day starts with journaling – Shannon then makes corrections and writes back to the learners after class. On Mondays, extra time is given to math. The laptops come out on Tuesdays and Wednesdays for online spelling and vocabulary – as well as writing short presentations and letters. Thursdays are a mix of activities and catching up on the week’s work. Shannon with students in the WELL Program. The program welcomes new learners year-round with continuous enrollment. Learn more about the WELL Program including volunteers or scheduling an intake interview! To begin, if you are not yet aware of the wonderful resource available to you in the form of our Where File cabinet, have a look at the recent article that Darren Bernhardt did for the CBC and learn all about it! Also, let’s have a look at some of our recent arrivals into the Local History Room. Letitia Hargrave: Mistress of York Factory by Irene Ternier Gordon tells the story of the first European woman to have resided at York Factory back in its heydays as the central fur trading post on the Hudson Bay. It describes her life, along with that of her husband James Hargrave and their five children, over the decade they spent in Northern Manitoba, including the courtships, scandals and daily operations of the Hudson’s Bay Company. The observations she left for posterity in her letters about race, religion, living conditions in a remote and sometimes harsh environment, and of the people she met bring a unique perspective rarely mentioned in other more official correspondence of the time. The Identities of Marie Rose Delorme Smith: Portrait of a Métis Woman, 1861-1960, historian Doris MacKinnon set upon the task of writing about Metis identity and what it meant for Marie Rose, whose writings form the basis of the author’s research along with interviews with her descendants, who grew up and lived in the western plains just as the country’s economy and society were making the transition from fur trading to agriculture. Sold to a whisky trader at age sixteen, Marie Rose went on to run a boarding house, homesteaded in Alberta, and served as medicine woman and midwife before dying at age 99 in 1960. The book is very well researched and strives to provide a broad historical context of evolving views of what it meant to be Métis from Marie Rose’s writings. Out of Old Manitoba Kitchens by Christine Hanlon provides a fun look at how some of our local (and sometimes not-so-local) foods were prepared in the early days of the province, as well as of the people who prepared them. Starting with our steadfast Bannock, you can find recipes from diverse culinary traditions like popovers, Ponnukokur (Icelandic pancakes), kielke (Mennonite noodles), to even Nellie McClung’s very own dumpling recipe. This illustrated book is a great read if you are interested in food, old-is-new ideas to try on your own, or if you want to read about personal stories of the rich culinary traditions and narratives of its earliest cooks, including the Indigenous people, Selkirk Settlers and first homesteaders. Loran Olson is a Registered Nurse who recently published Through the Cracks: Voices of Martha Street. Located in downtown Winnipeg off of Martha Street, Main Street Project aims to help those struggling with homelessness and addiction by providing a foundation in which individuals can take steps towards positive change. The book shares the voices of people dealing with great suffering who shared their experiences with the author through interviews. The experiences of the staff and volunteers who work at the Main Street Project are also included. We’d like to thank all of you who have listened and participated so far, through Twitter, the website, and through email. We loved hearing your thoughts and getting your questions to spark our the recorded discussion. I hope you are excited to hear it! In this episode we talk about Forrest Gump, rune stones, Jeff Goldblum, oh yeah, and Middlesex by Jeffrey Eugenides. 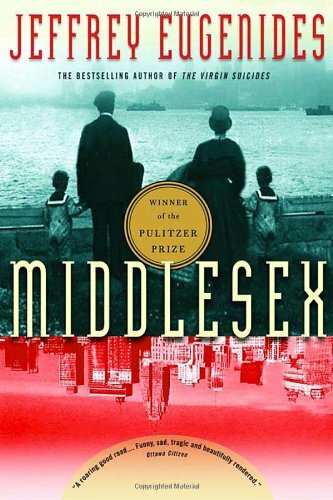 This Pulitzer Prize-winner is the story of a Greek American family and the way their secrets result in a special individual named Cal (an intersex man who had been raised as a girl named Callie. It’s complicated). Expect humor, dysfunction, silkworms, and the American Dream. We know this is a big book (over 500 pages) to have chosen for our second month, so if you read along, many, many thanks to you!! If not, feel free to wait to listen until you are done reading – because we definitely talk about all of the spoilers. But in the meantime, pick up the next book we’re reading, The Underground Railroad, and be sure to send us your thoughts so we can talk about them in the next recording, the last week of March. Don’t worry it’s much smaller. Again, March’s book is The Underground Railroad by Colson Whitehead. I just finished it and it is amazing. 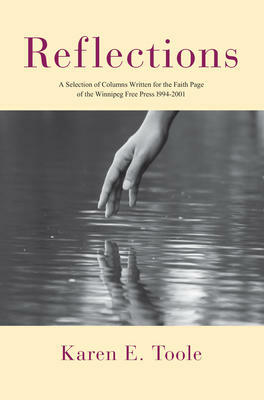 The discussion pages for this and our previous books are open now, or email us at wpl-podcast@winnipeg.ca. eMedia @ Winnipeg Public Library: your guide to 24/7 entertainment! Downloadable eBooks will continue to be available through OverDrive and new for 2018 – RBdigital. Streaming eBooks are also available from McGraw Hill, Tumblebooks, Bookflix and more. RBdigital. We will no longer be offering eAudiobooks through Hoopla. OverDrive. Later this month you will have access to our Kanopy subscription. Kanopy offers thousands of documentary film festival movies and feature films especially prized by cinephiles, including the top 50 Criterion Collection titles. Streaming full-length music albums are available through Hoopla. For those with more classical/folk/world/jazz tastes, listen in to our Naxos Music Library. We offer more than 150 full-colour cover-to-cover issues of your favourite weekly and monthly magazines like US Weekly, National Geographic, Canadian Living, In Touch Weekly, The Economist, Martha Stewart Living and more through both RBdigital (formerly called Zinio), Flipster, and PressReader. Did you happen to make it to BookFest last year? Are you wondering what the heck this ‘BookFest’ thing is? Are you just bored and surfing the web? Here’s some info you might find interesting. BookFest is one of the bookiest days of the year, because it’s the day that WPL and AMBP smoosh together a bunch of readerly things: book tastings (short and sweet book talks), a panel discussion, local publishing houses, local self-published authors, an interactive poetry station, personalized reading advice from WPL experts, and resources just for book clubs. Plus, you know, free book and book-related prize giveaways. In short, so many things that the only name for it is BookFest! Saturday, November 25 at Millennium Library from 10:30 a.m. to 4:30 p.m. We’ve taken over the whole second floor. Take a literary walk through Winnipeg as panelists discuss iconic Winnipeg locations found in books. Charlene Diehl of the Winnipeg International Writers Festival moderates the discussion featuring Winnipeg author Allan Levine. Book Tastings: Drop in for 30-minute seatings of delicious must-reads. This fun, quick-fire appetizer pairs librarians and avid readers showcasing the best in books. Book Fair: 10:30 a.m. to 4:30 p.m.
A book expo where you can explore the best of prairie writing with local publishers: ARP Books, At Bay Press, Les Éditions des Plaines, Fernwood Publishing, Great Plains Publications, J. Gordon Shillingford Publishing, Peanut Butter Press, Rebelight Publishing Inc., Signature Editions, Turnstone Press, and University of Manitoba Press. Plus, a chance to meet and greet the following authors: Sally Cooper, Lisa Mendis and Chris Ducharme, Anne Mahon, Bartley Kives, Deborah Froese, Harriet Zaidman, Gerald Kuehl, Gabriele Goldstone, Melinda Friesen, Suzanne Costigan, Armin Wiebe, and Janis Thiessen. Poetry Station: 10:30 a.m. to 4:30 p.m. Try your hand at “building” a poem by blacking out words on a page. Poet Jennifer Still, the Library’s current Writer-in-Residence, will stop by to demonstrate and assist. Book Club Corner: 10:30 a.m. to 4:30 p.m.
A showcase of titles your book club will love, tips for discussion, and information about the Library’s book club kits. The Librarian is IN! : 10:30 a.m. to 4:30 p.m. In a reading slump? Need help finding your next great read? Visit the desk where library staff will be on hand to diagnose your literary condition and prescribe a few titles. Plus (my favourite part): “spin to win” books and prizes every hour! This week, Jennifer Still started her term as the 28th (wow!) 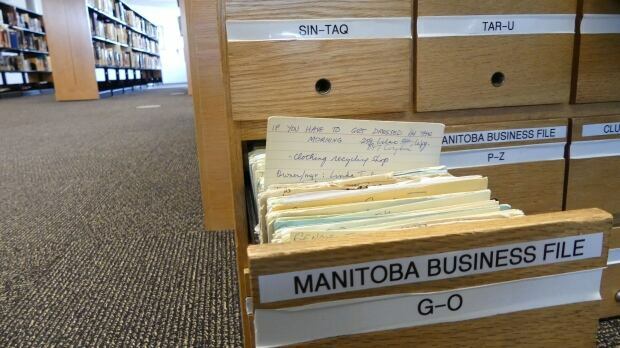 Writer-in-Residence at the Winnipeg Public Library. You may already have met her, if you came to check out her collaborative reading & art piece at the Millennium Library for Nuit Blanche this past Saturday. Jennifer is an award-winning Winnipeg poet who has served as a mentor to many emerging writers as the Writer-in-Residence at the University of Manitoba’s Centre for Creative Writing and Oral Culture and at The University of Winnipeg. She’s also an editor for Canada’s longest running poetry journal, CV2. Writers of all genres and all experience levels are welcome to submit manuscripts to Jennifer for review and feedback. See our website for more information about how to submit your writing. Madness, Rack, and Honey by Mary Ruefle – wildly imaginative and poetic lectures on writing, some only three lines long! Emily Dickinson: The Gorgeous Nothings – the first published reproductions of Dickinson’s handwritten “envelope” writings. The Winnipeg Public Library is hosting a new traveling exhibit created by the Canadian Centre for the Great War open to the general public at the Millennium Library. The exhibit “The Business of War: Canadian Businesses and the First World War” is located on the 4th floor and is about Canada’s wartime mobilization on the home front. Its panels explore how Canadian businesses large and small aided the war effort by supplying goods and helping to lift people’s spirits and raise money in order to keep support our troops and the overall Allied cause. While warfare throughout the ages always required soldiers fighting on battlefields, the First World War also came to require of Canadians an unprecedented mobilization of all their resources and that is where the term “home front” was coined. Library materials related to the exhibit are displayed as well so you can further your knowledge about this topic. 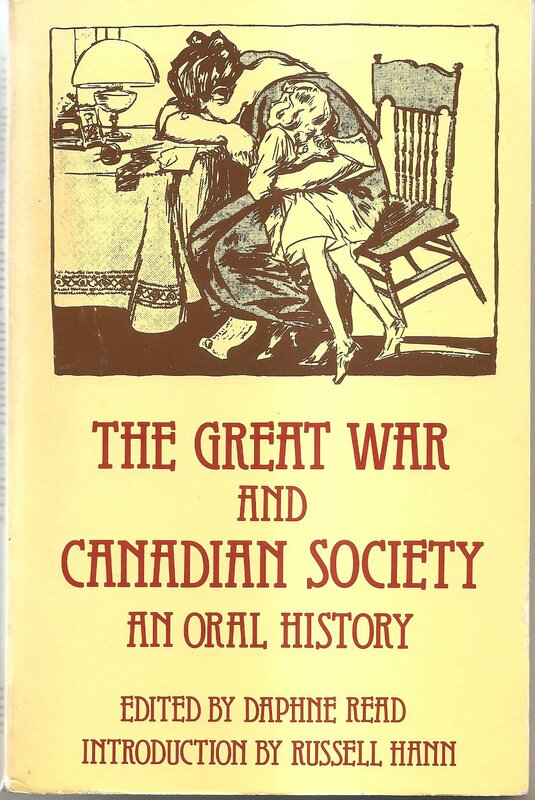 One of the library’s older (published in 1978) but valuable title that is filled with personal accounts of this time period is The Great War and Canadian Society: An Oral History. The book was written when Canadians who had lived through that time were still able to provide a living link to our history and the testimonies included come from people from all walks of life, ages, and locations. I definitely recommend it for those interested in reading about men and women’s experiences in wartime Canada. In Hometown Horizons: Local Responses to Canada’s Great War, historian Robert Rutherdale has chosen three Canadian towns (Lethbridge, Alberta, Guelph, Ontario, and Trois-Rivières, Quebec) in order to explore the local social history of the war, and how it affected these communities in different ways. The demonizing of potential “enemy aliens” and other subversive forces is explored in Lethbridge as one internment camp was built there, as well as local citizens’ reactions to its presence. The Conscription Crisis where efforts of Canadians to avoid being drafted resulted in aggressive raids to collect draft dodgers is explored in Guelph. The rift that developed between returning veterans’ experiences on the front versus the second-hand and heavily censored portrayal made available on the home front is also explored, as well as the break with the past the war had on many aspects of life, notably on the role of women in the work force. Desmond Morton’s book Fight or pay : soldiers’ families in the Great War is about those who were left to carry on when sons and husbands were sent overseas to fight and how the government’s early efforts to create a safety net were spurred by war’s traumatic impact on the home front. It’s often overlooked that the conflict ended up costing lives at home as well as the front as numerous families lost their main provider and had to rely on charity (such as the Patriotic Fund) and limited military pensions from Ottawa at a time where attitudes toward such support was quite negative. It also heralded a new reality where both the state and private philanthropists were managing family decisions that had never been their business before. This book will be of interest to those wanting to increase their understanding of the issues that faced the families and the fighting men in 1914-1918. Firing lines : three Canadian women write the First World War by Debbie Marshall is the story of three Canadian journalists who were present in both France and England during the pivotal events of the conflict and reported their personal observations in letters, articles and books. Mary MacLeod Moore, a writer for Saturday Night magazine , covered the war’s impact on women, from the munitions factories to the kitchens of London’s tenements. Beatrice Nasmyth, a writer for the Vancouver Province, managed the successful wartime political campaign of Canadian Roberta MacAdams and attended the Versailles Peace Conference as Premier Arthur Sifton’s press secretary. Elizabeth Montizambert was in France during the war and witnessed the suffering of its people first-hand. She was often near the fighting, serving as a canteen worker and writing about her experiences for the Montreal Gazette. About 8,000 Canadian civilians were imprisoned during the First World War because of their ethnic ties to Germany, Austria-Hungary, and other enemy nations. Although not as well-known as the later internment of Japanese Canadians during the Second World War, these incarcerations played a crucial role in shaping debates about Canadian citizenship, diversity, and loyalty and this is what No free man : Canada, the Great War, and the enemy alien experience by Bohdan Kordan aims to demonstrate. Re-settled in a network of government-run camps throughout Canada, they were forcibly mobilized in the war effort, most often in agriculture or lumber industries. This is a valuable book about the dark side of our country’s war effort that remains as pertinent to our present world as then. Saturday, April 8 marks our seventh annual Books 2 Eat celebration at the Millennium Library. Come and feast your eyes on some amazing edible art pieces inspired by books and created by food lovers of all ages! Celebrity judges, including emcee Chrissy Troy of 103.1 Virgin Radio, will announce the winners at 3:30 pm. Browse through a buffet of hands-on family activities from noon to 3 pm: sample healthy treats, try cookie decorating, and play with your food at our games and technology stations! Hunt down food-related clues through all four floors of the Millennium Library! Kids and teens can pick up a smorgasbord scavenger hunt sheet at the Children’s Desk. Hand in your answer sheet (right or wrong) by 3 pm and you’ll be entered in our prize draw. Help nourish other families in the city! Winnipeg Harvest will be on hand to share information on their services and to take donations of non-perishables. Enter a draw for a chance to take home some delectable door prizes including baked goods from Chew. Still hungry? Check out our website for more details! We have a few new reasons for you to come and visit the Local History Room. A new display about the history of the railway system and how it shaped Manitoba is ready to explore, with artifacts and information generously loaned to us by the Manitoba Railway Museum – come and check it out! It’s also time to have a look at what’s new in the room’s collection, as it keeps growing with new additions. Retired Winnipeg lawyer Norm Larsen is back with a new legal read: Notable People from Manitoba’s Legal History, in which he describes 32 “notables” connected to Manitoba and its legal system in quotations and anecdotes. The notables include Nellie McClung, Hugh John Macdonald son of the first PM and briefly Premier of Manitoba, Sam Freedman, Thomas Douglas (Lord Selkirk) who suffered “death by litigation”, Chief Peguis and Sister Geraldine MacNamara “the activist nun with a law degree”. This is an easy and informative read. Firmin Wyndels : the Belgian builder by James B. Wyndels tells of the man who came from Europe at the head of Wyndels Construction Company in 1909 as part of the growing Belgian community in the St. Boniface area and built colleges, churches and homes in Manitoba, some that still stand today, including the Fort Garry Church and the Sacred Heart College in Swan Lake. Hot Line : how the legendary trio of Hull, Hedberg and Nilsson transformed hockey and led the Winnipeg Jets to greatness chronicles how Bobby Hull, Anders Hedberg and Ulf Nilsson came together to form a dynamic line that saw the Winnipeg Jets win two World Hockey Association championships (which rivaled the NHL until 1979). On January 5, 1978 they helped beat the Soviet Red Army Squad in front of a packed Winnipeg Arena crowd, the first time a North American club team ever managed to achieve this. Their chemistry on the ice and impact on the game is explored as well as the resulting influx of new European players into the NHL in the years following. Stay, breathe with me : the gift of compassionate medicine shares Helen Allison’s insights into the need to stop seeing patients simply as diseases needing cures and technologies but as living beings with symptoms and suffering that need to be addressed as a whole, with nonjudgmental medicine delivered with compassion. Several intimate stories tell of her experiences with her own patients in palliative care and the lessons she learned from them as they struggled with various, often fatal, ailments and how everyone, physicians or relatives, can contribute to improve their quality of life. 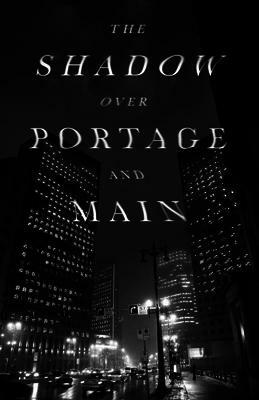 Finally, a title not in the Local History Room collection yet but which I would like to recommend for local fiction and horror fans is The Shadow Over Portage and Main: Weird Fictions, an anthology of short stories from authors who were influenced by their stay in Winnipeg. Whether it’s the extremes in our weather, our reputation for crime and murder, or our unique mix of cultures and ethnicities, authors like David Annandale, Eric Bradshaw and Keith Cadieux among others have written tales about the dark and gothic side of the city. My personal favourite is the story of a woman who discovers a book about superstition that has troubling effects on people who come in contact with it. Most of the stories are meant to inspire unease and fear, some of them have ghosts (predictably) and other supernatural threats, some don’t even mention Winnipeg but we are meant to recognize its “vibes”, which leads to the conclusion that our city can be quite a dark place! Drop by and have a look in person, or feel free to explore the Local History and Genealogy Subject Guide for more of our recommended online resources to explore Manitoba’s past.